The second primary law of metaphysics is that whatever we give out comes back to us multiplied. This is often called karma. Too often people think of karma as a punitive system. However, karma simply represents cause and effect. If you plant a tomato seed in the garden, you will never get a cucumber. The same is true related to our thoughts and actions. If we are critical, judgmental, or act in ways contrary to what we want, it is impossible for the Universe to create experiences consistent with our intrinsic desires. We cannot expect to cultivate a loving relationship if we are focusing on fear or frustration with others. If we judge others, it is impossible to create the love we say we want. The same is true with money and finances. If we believe that there is not enough, or we are judgmental of people that have more, we are limiting ourselves from experiencing the good we say we want. Tarot can help us see our options. It can hold up a mirror into our own circumstances and allow us to recognize changes that we need to make. 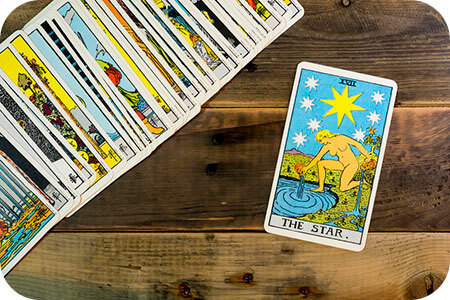 In this way, the Tarot can be an invaluable tool in assisting us in creating our future and showing us the wonderful things, we are able to create in our lives. However, when we give our power away to outcomes, it means we no longer have the power. The Tarot is meant to empower and only retains value when we allow it to help us make necessary changes to achieve what we say we want.